Join Dr Michael Cahill as he explores the origins of civilisation, using information from history, archaeology, mythology, linguistics, geology, astronomy and philosophy to learn more about who we are. Paradise Rediscovered will challenge your intellect and spur your imagination, as you journey with him to uncover secrets, solve mysteries and consider the foundations that shaped our modern society and may yet change its face again. Note: This title is published as a two volume work in its physical edition, and as a complete work in its digital editions. Mike Cahill studied Zoology and Biochemistry at the University of New South Wales, Sydney, graduating with BSc (Hons 1). In 1995 he obtained a PhD in molecular cell biology from the School of Medicine of the same university, working externally at the Medizinische Hochschule in Hannover, Germany. He remained in Germany to become scientific cofounder and the Chief Research Officer of ProteoSys AG (Mainz Germany) in 2000. 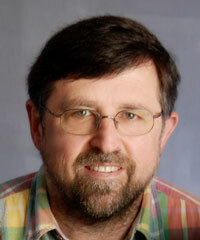 In 2008 he relocated back to Australia where he lectures at Charles Sturt University in Wagga Wagga, NSW. 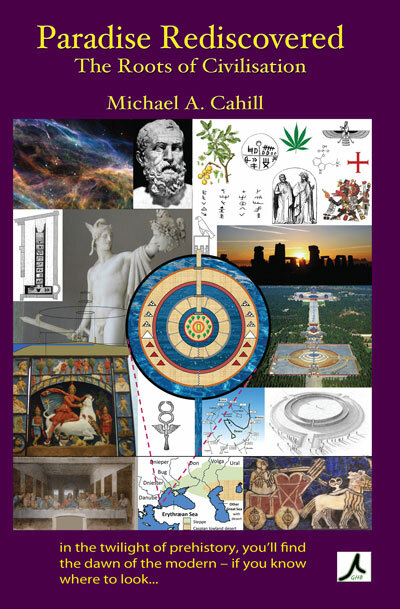 "With Paradise Rediscovered ... Dr. Cahill presents a highly comprehensive reconstruction of the Atlantis culture that he argues may have existed near the Neolithic Black Sea ... Comparative studies of ancient religious and mythological texts such as Genesis and the Epic of Gilgamesh. ... Paradise Rediscovered is presented as "paradigm-breaking conventional prehistoric research"." To demonstrate that this is really the way the scientific world works, let me give two poignant examples of this system in operation from my own field of biochemistry and the medical sciences, and indeed from the very highest levels thereof. The first case involves Peter Mitchell, who in the late 1950s had the brilliance to conceive that a biochemical process called chemiosmosis could be responsible for producing the energy molecules in our bodies, called ATP, which was a puzzle that had been bugging biochemists for a while back then. Without burdening you with an attempted explanation of that process, suffice it to say that the idea was so unconventional, indeed revolutionary in its day, and based upon so little observed information, that it was categorised by many as an unfounded speculation. The torrent of international criticism of his peers was predictably harsh. He was young, vulnerable, and challenging to the old silver-backs. When presented with something challenging, the gorilla silver-back typically beats off the threat with attack. The Homo sapiens variety sitting in the accredited chair of learning in the gilded ivory tower, which is the bastion incarnate of wisdom and the accumulated highest quality sapient thought processes of our society, you might think, would have philosophised, contemplated whether the challenging ideas could in fact represent the truth, and then congratulated the young bright spark for a job well done with a sincere: “Good thinking son, but how can we prove it”? Well not quite, but at least the human silver-backs did not resort to physical violence. Mitchell was ridiculed by both international colleagues and those at the prestigious Department of Biochemistry at Cambridge (one of ‘The Two’ British Universities) where he worked, to the extent that he was forced to resign his senior position in 1963, officially due to the failing health that was induced by his prolonged professional trauma. He suffered from gastric ulcers; a disease which, ironically, we will encounter in a few paragraphs. Emile Zola described a work of art as a corner of nature seen through a temperament. The philosopher Karl Popper, the economist F. A. Hayek, and the art historian K. H. Gombrich have shown that the creative process in science and art consists of two main activities: an imaginative jumping forward to a new abstraction or simplified representation, followed by a critical looking back to see how nature appears in the light of the new vision. The imaginative leap forward is a hazardous, unreasonable activity. Reason can be used only when looking critically back. Moreover, in the experimental sciences, the scientific fraternity must test a new theory to destruction, if possible. Meanwhile, the originator of a theory may have a very lonely time, especially if his colleagues find his views of nature unfamiliar, and difficult to appreciate. The final outcome cannot be known, either to the originator of a new theory, or to his colleagues and critics, who are bent on falsifying it. Thus, the scientific innovator may feel all the more lonely and uncertain. On the other hand, faced with a new theory, the members of the scientific establishment are often more vulnerable than the lonely innovator. For, if the innovator should happen to be right, the ensuing upheaval of the established order may be very painful and uncongenial to those who have long committed themselves to develop and serve it. Such, I believe, has been the case in the field of knowledge with which my work has been involved. Naturally, I have been deeply moved, and not a little astonished, by the accidents of fortune that have brought me to this point; and I have counted myself lucky that I have been greatly encouraged by the love and example of the late David Keilin, and that my research associate, Dr. Moyle, has skilfully helped to mitigate my intellectual loneliness at the most difficult times. Now, I am indeed a witness of the benevolent spirit of Alfred Nobel. Who knows how many Peter Mitchells ended up in coal mines, driving taxis, working on building sites, or selling door to door because they dared to be ‘circumspect’, albeit innovative and correct. That Peter Mitchell’s case is not an isolated or atypical one is demonstrated by the case of Robin Warren and Barry Marshall, Australian medics who proposed that stomach ulcers were caused by the bacterium Helicobacter pylori. To briefly summarise, Warren looked at electron microscope photos of gastric ulcers - nasty festering gastric ulcers - and noticed that there were quite often little curved bacteria-shaped and -sized things in the images. Furthermore, the site of inflammation of the ulcer was invariably near these bacteria-looking things. Hmmm. All those novice but intelligent general readers out there, what is your diagnosis? To provide fair warning before you give it, I should warn you that the prevailing dogma of silver-backed authority held that peptic ulcer disease was the result of stress and lifestyle. Prevailing dogma means scientific peers: many, many, medically educated, old and cantankerously conservative yet very, very powerful silver-backed scientific peers. So, what would be your diagnosis? Faced with exactly that decision, Robin Warren was circumspect enough to go public with the proposition that bacteria may cause ulcers. He was ridiculed and criticised. By many powerful silver-back peers, of course. That denigration seems with the benefit of hindsight to have been rather ill-directed. With the wisdom of foresight, it should have been withheld in favour of balanced appraisal: ‘Good thinking! It could be right son. Work on it.’ But silver-backs will be silver backs. In 2005 Barry Marshall and Robin Warren received the Nobel Prize in Physiology or Medicine. Today ulcers are treatable with antibiotics, and many people suffer considerably the less for it: among them many, many, medically educated, old and cantankerously conservative yet very, very powerful silver-backed scientific peers; particularly those with stressed lifestyles because they were wrong. Ironically in the context of our discussion in this chapter, it was because of gastric ulcers that Peter Mitchell was forced to leave the Department of Biochemistry at Cambridge. [iii] The immune system is weakened by stress, which presumably permits the bacteria to more easily gain a foothold (or whatever hold a Helicobacter pylori needs to gain). [iv] So the silver-back peers were not wrong, they were just not as right as might have been rather more advantageous under the circumstances. I am all too familiar with those peers and their austere rules of conservative rigidity from my own field of trained expertise. For instance see the note added in press to a manuscript in 2006 concerning a peer-rejected hypothesis, explicitly presented as a speculative model for future verification, that extra-cellular Annexin A3 protein may influence the immune surveillance and inflammatory status of cancers:[v] [Peer reviewers being the sons of unmarried mothers, according to the famous old axiom]. So let us understand the restraints imposed upon the academic archaeologist, who may even be quite an anarchist in the privacy of his own home. Yet in print, he is steadfastly non-circumspect. For the record, it must be acknowledged with due credit to Mallory and Mair that they did give us the ‘simply do not know’ position above,43 after the appropriate ritual circumlocution and caveats that were presumably acceptable to their peers, which is why I could afford to use this example. However I argue that when it comes to the discovery of important artefacts such as the origin of the wheel, exactly the same types of filtering processes apply. Yet the implications are so much more significant that even Mallory, for whose work I have acquired the deepest respect, is wry to acknowledge the ‘simply do not know’ option. All the earliest wooden wheels, like the earliest fabrics, would have rotted to nothing (if they were not incinerated to nothing, gypsy funeral style) unless fortuitously preserved. In this matter I propose the ‘circumspect’ but reasonable concept that wheels existed for thousands of years before we find one that was preserved, because that is the most parsimonious solution for the linguistic age of the PIE language and the presence of PIE words describing wheeled vehicles. If so, it is not unreasonable to propose that social customs may have contributed to their scarce preservation: such as limited elite ownership and/or ritual gypsy-style incineration upon the death of the owner. I can afford to print this unqualified opinion because I am writing this book as a non-academic, or rather non-archaeologist. Although I am a trained academic my job does not depend upon my reputation as an archaeologist. Although my model solution to this riddle is somewhat conjectural (a very circumspect word), it is compatible with all the evidence, and there is accordingly no evidence that it is wrong. Although this thought process may seem reasonable to the average sensible person, it is unreasonable to the (current) scientific approach, and therefore circumspect. So “circumspectness” does not reflect whether an idea might be right or wrong, but rather how well its certainty is established by the observations (or even whether a majority think it is right). Therefore the enquiring mind should not be averse to circumspect models s long as they are grounded on defendable assumptions. [iv] Weiner H, Shapiro AP. 1998. Is Helicobacter pylori really the cause of gastroduodenal disease? Quart. Journ. Med. 91:707-11. [v] Wozny W, Schroer K, Schwall GP, Poznanovic S, Stegmann W, Dietz K, Rogatsch H, Schaefer G, Huebl H, Klocker H, Schrattenholz A, Cahill MA. 2007. Differential radioactive quantification of protein abundance ratios between benign and malignant prostate tissues: cancer association of Annexin A3. Proteomics. 7:313-322.